Meet Olive: she has a wonderful, warm personality, terrific lines, and is a welcome addition to our Breeding Program. 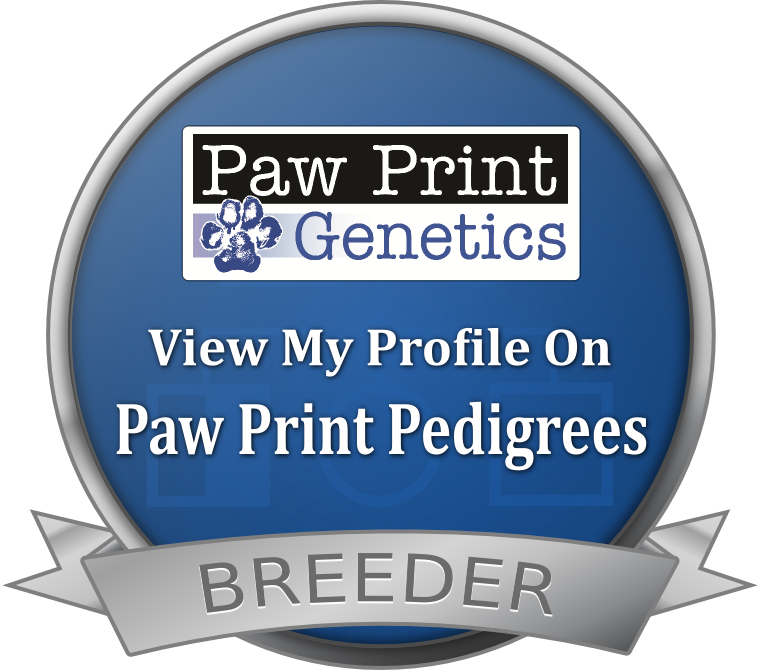 Please click here to view Olive’s WALA pedigree. 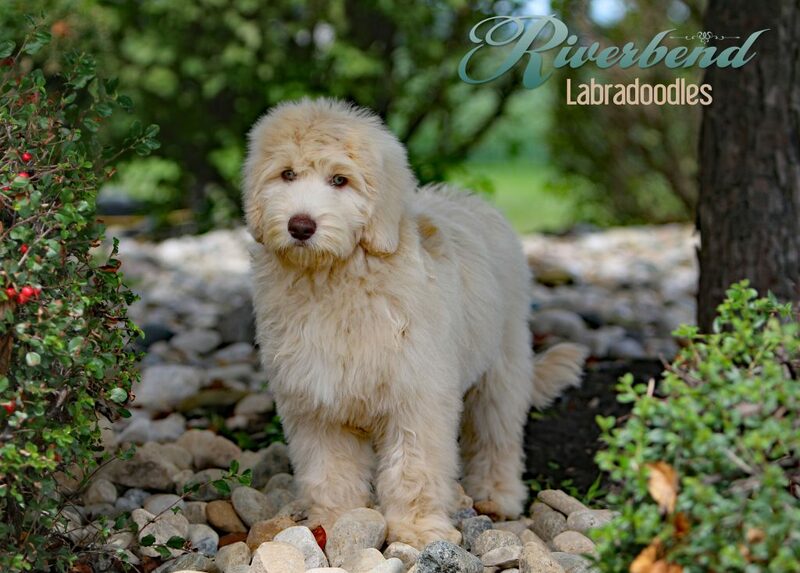 Olive came to us from Riverbend Labradoodles. She has an amazing caramel ice colored – silky fleece coat, and beautiful hazel eyes – that truly look more blue than hazel. She has passed all of her health testing, which you can view here. Olive is doted on by the terrific family she lives with, and they shared insight (below) to help you get to know her better. 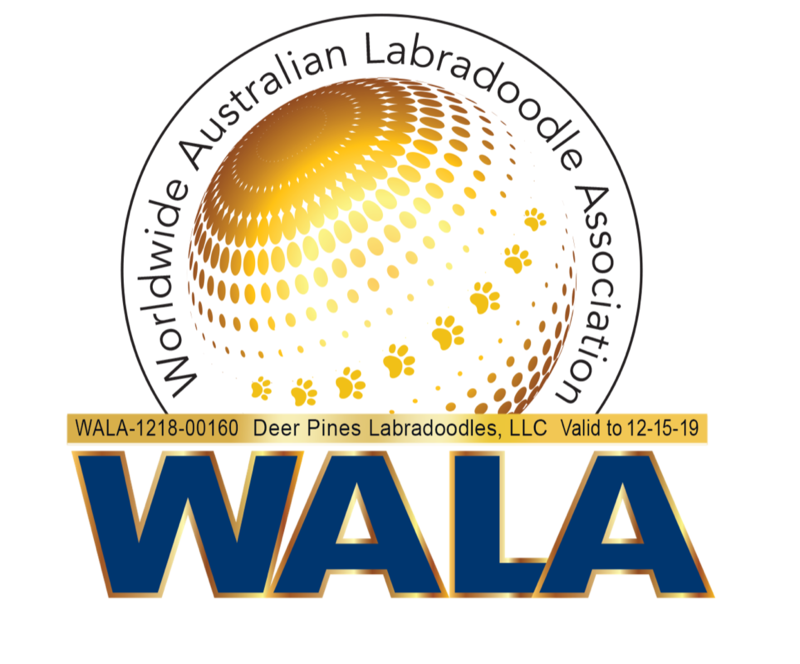 She is very social, and her tail wags a mile a minute anytime she sees anyone even if they are far away – or outside. When she isn’t wagging her tail she is very chill, or keeping us entertained in some way or another. She is very sweet and always wants to be involved in whatever we are doing whether it is laundry, cooking, or moving about in the house – she is never far from our heels. 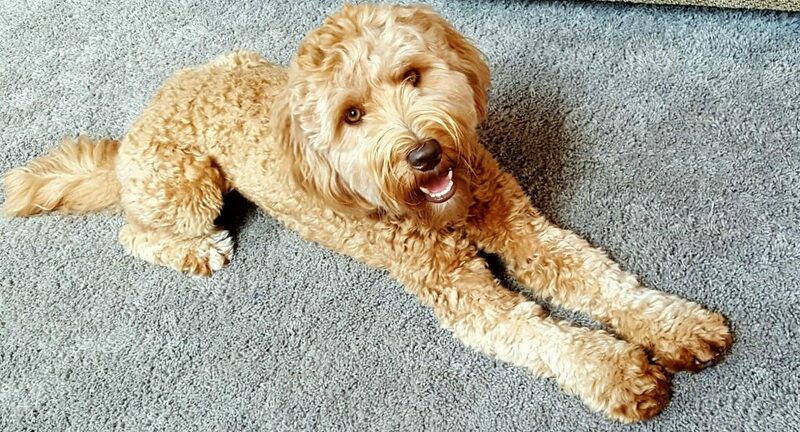 Olive’s trainer described her as a happy go-lucky girl with a great sense of humor. And, training has been easy due to how smart she is; in fact, she is a real problem solver/escape artist, as she figured out how to get out of her crate!! Many of our neighbors says she is the happiest dog! Finally, we are certain she even laughs – with us, at herself, or at us!